With this product you can accumulate up to 64 Glitter Points. 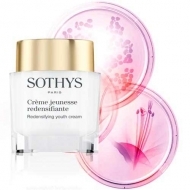 Visibly softens fine lines and wrinkles. 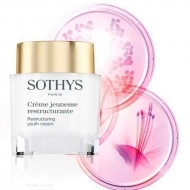 DESCRIPTION: Crème Jeunesse Rides from Sothys is a cream to visibly smooth wrinkles and wrinkles, maintain skin tone and preserve a uniform complexion. The youth of the skin remains as prolonged. 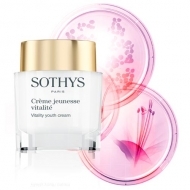 Active Ingredients: Yeast extract to strengthen skin cohesion and maintain skin tone; BP3. 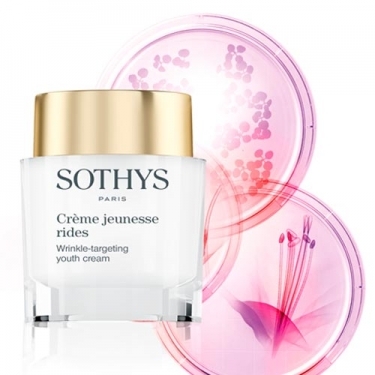 Tri-Complex Safran-Sophora-Peptides, a combination of saffron and sophora with state-of-the-art peptides that allow the skin to fight against oxidative stress and fight the signs of chronological aging; Liposomal complex (dipeptide extract and charcoal) for visibly soft wrinkles.